← Warum werden Blogs eigentlich so wenig kommentiert? 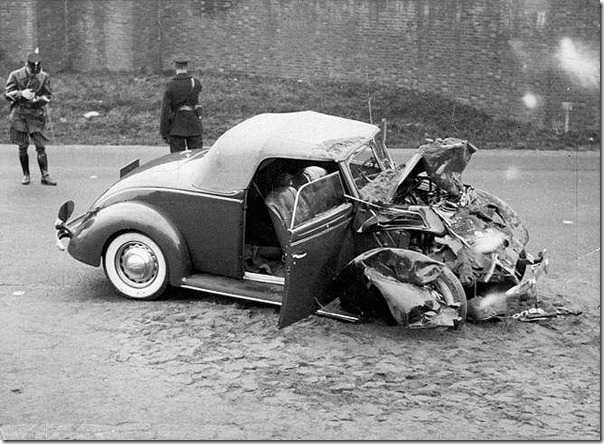 Car accidents. 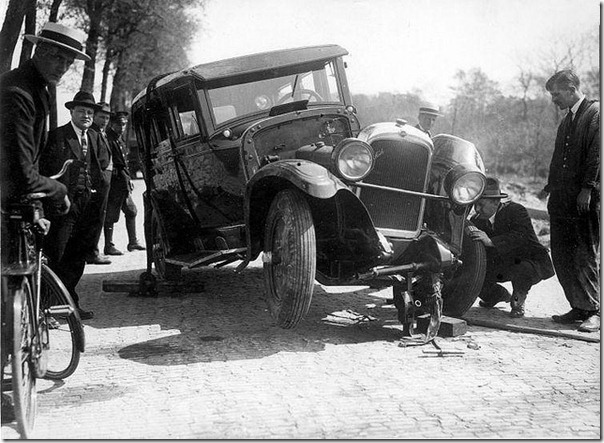 Collision of two cars. The Netherlands, location unknown. Before 1914. 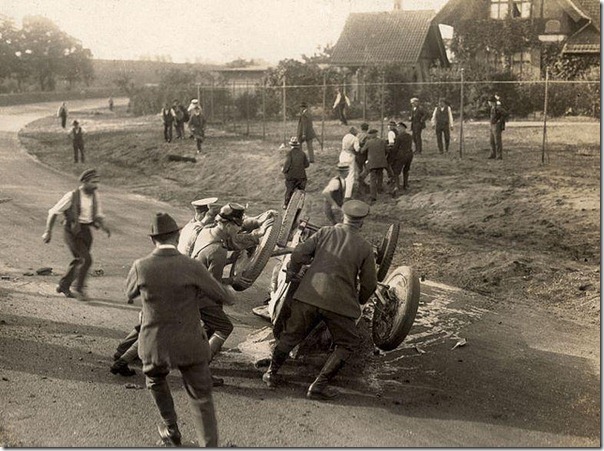 Car racing accident on the Grunewald racing track in Berlin. 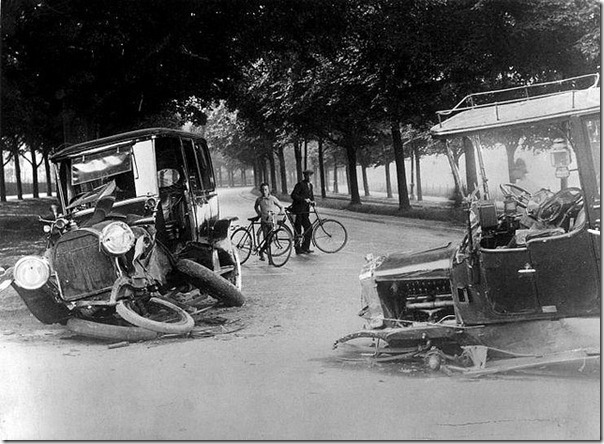 The car is tilted back in the background while the injured driver is carried away, Berlin 1921. 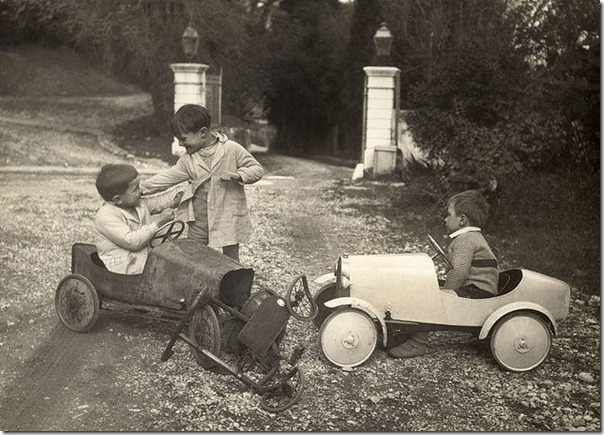 Car racing. As if shot by a catapult, the American driver Cassidy flies through the air, followed by the cushion of his cockpit. Badly bruised, the driver ended up in the hospital. Washington 1936. Jongetjes spelen een verkeersongeluk na, met twee trapauto’s en een driewieler. 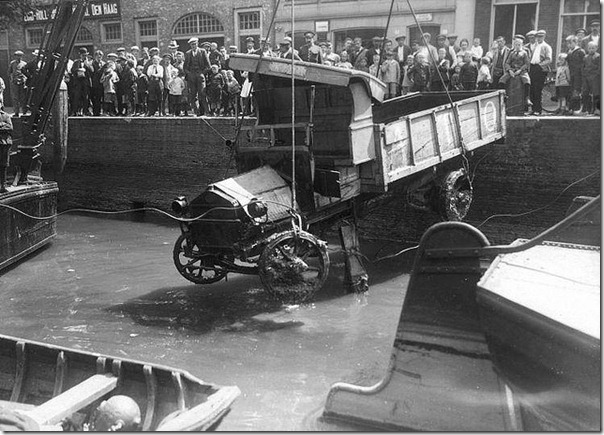 Nederland, 1935. Car accident. Wreck of a car that hit a tree. Den Deyl, The Netherlands, may 16, year unknown. 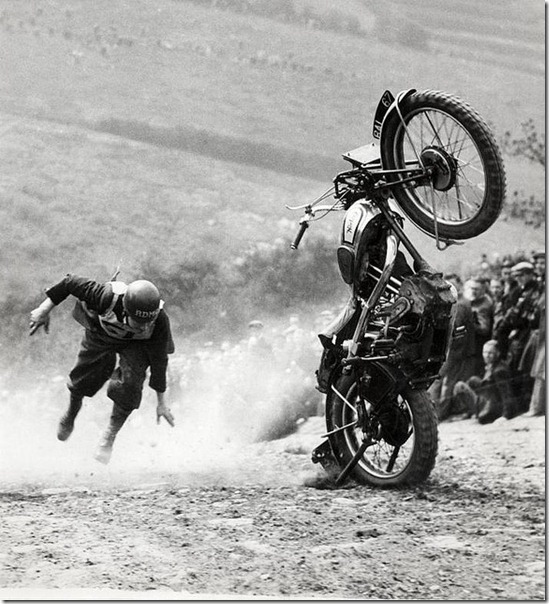 Motorcycle racing. 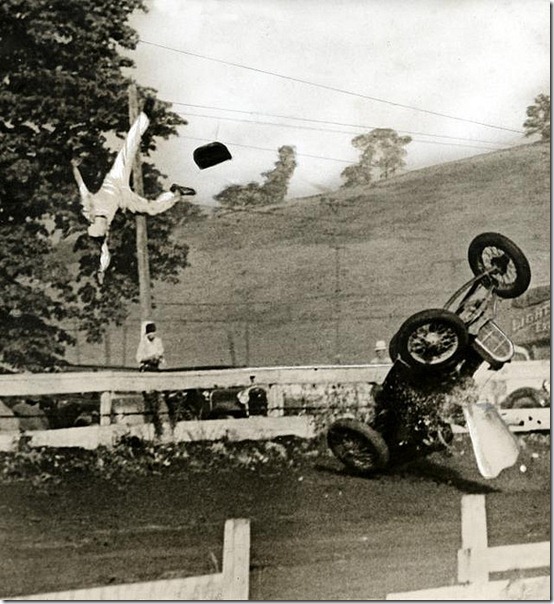 Motorcycle Accident. The bike is upright in the sand while the rider still flies through the air. 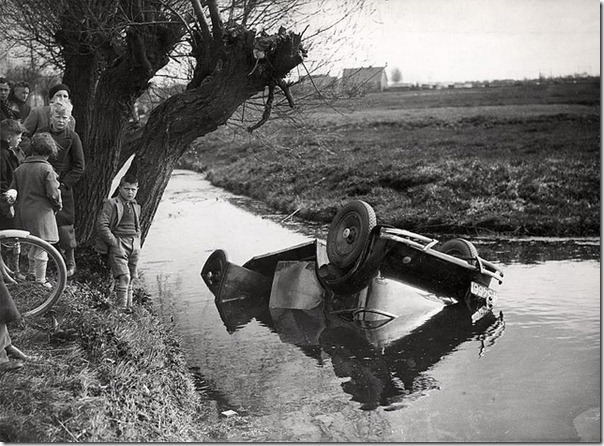 England, 1935. Dieser Beitrag wurde unter Bilder abgelegt und mit Autos, Bilder, Unfall verschlagwortet. Setze ein Lesezeichen auf den Permalink. Zwar niedrigere Geschwindigkeiten, aber keine Airbags und Gurte. Technik-Fortschritt rettet Leben. Petition: Wir brauchen einen neuen Kaiser!